Ok, so apparently third try really is the charm. Over the last few years I have made a couple of unsuccessful attempts to climb Thor. The overwhelming takeaway lesson? THOR PEAK IS NOT A TRAINING CLIMB. 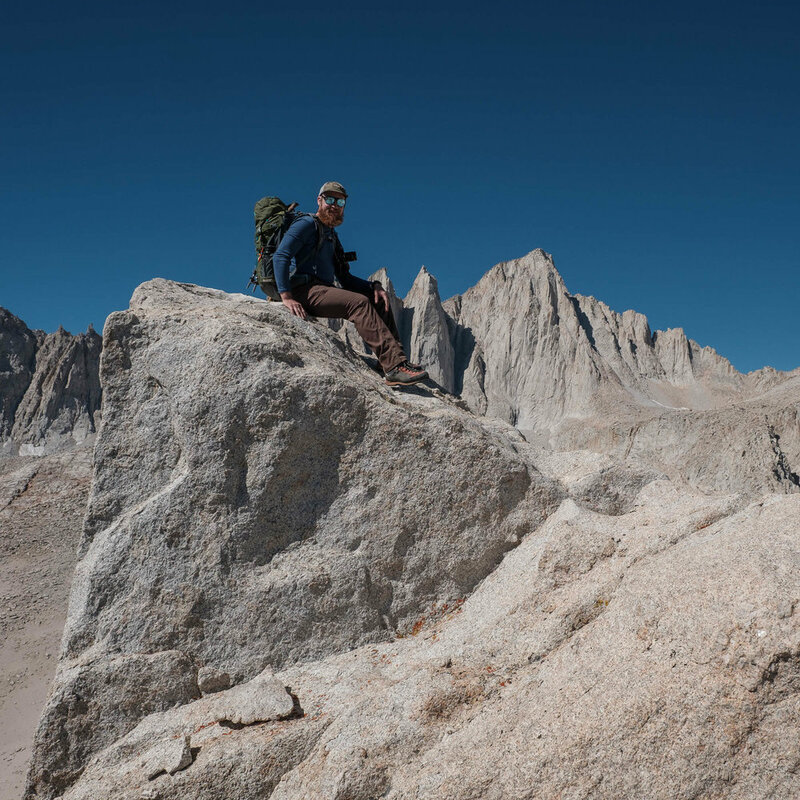 Instead of loading up my back with all of the gear I might need to climb Mt Whitney (as I have done in the past when I was training) this time we went super light, and fast, and reached our goal. Thor is a rarely climbed peak in the Whitney Zone. 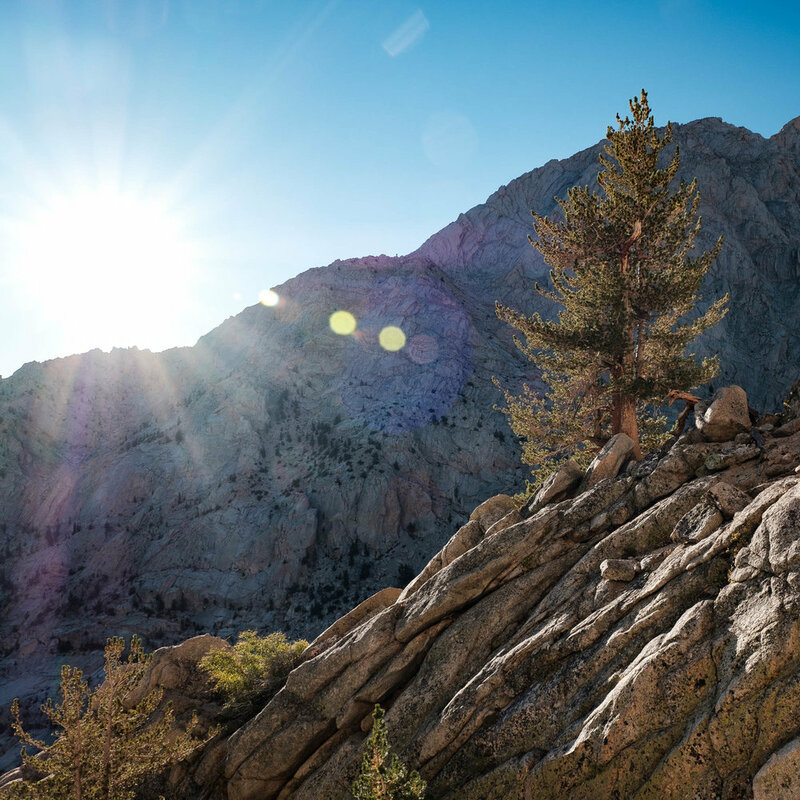 It is the peak that separates the backpackers route from the North Fork Trail to Mt Whitney. Almost no one takes the time to climb it, but instead opts for the more impressive neighbors, Mt Whitney, and Mt Russell. But at 12,306’ in elevation (3751m) and no established trails, it still needs to be taken seriously. And really, every mountain should be. Climb the couloir with the giant boulder in it. Brian and I opted for the 3rd class route up the South East Couloir. It is the most direct, and most obvious, especially in late summer. For those who may wonder which, of many, the correct couloir is, just look for the giant boulder sitting in the middle. Most of the route is an easy 2nd class scramble up rock and scree. If you stick to the left side, you’ll find a pretty easy class three climb up and around the boulder for the 1st crux section. There will be some route-finding along the way, but it’s hard to get lost. Once you reach the summit Plateau, you can slowly traverse towards the right while continuing to climb. The slope is sandy, but firm enough. 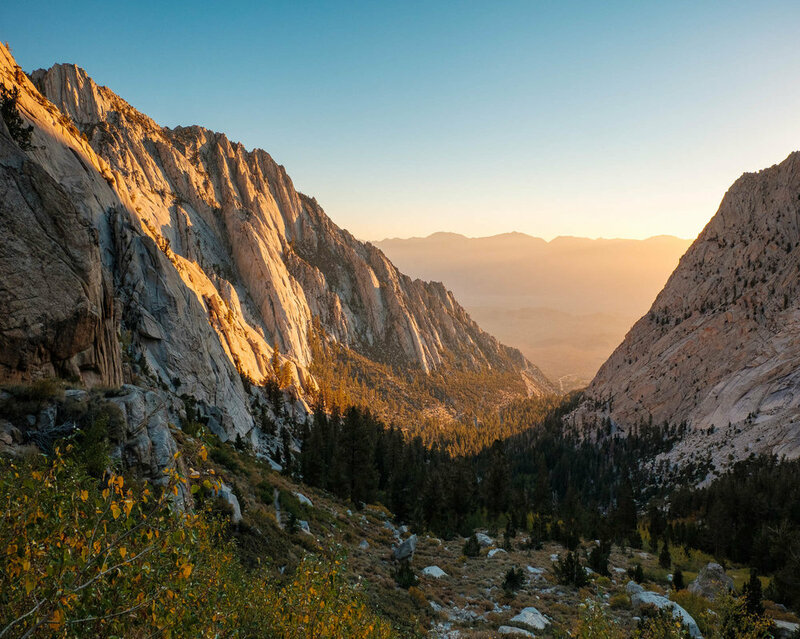 Your reward for reaching the summit is an amazing, unblocked view of the face of Mt Whitney and all of the needles.